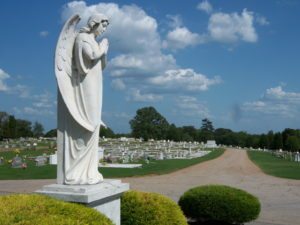 Historic South-view Cemetery, Atlanta, Georgia. 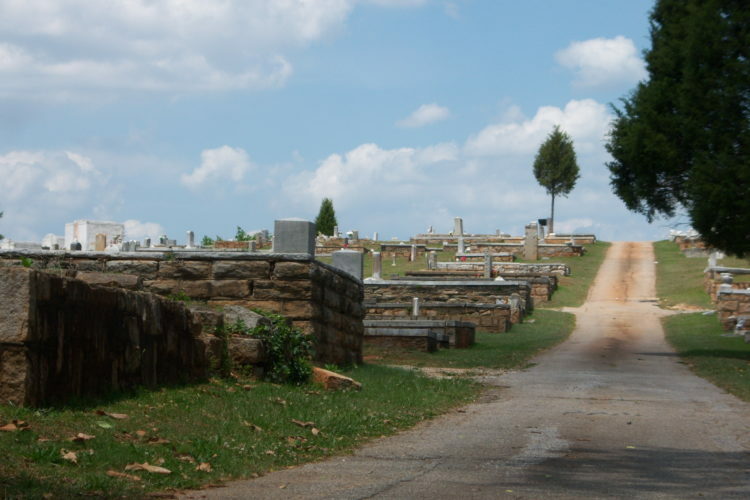 This cemetery is the final resting place of more than 70,000 Black people. 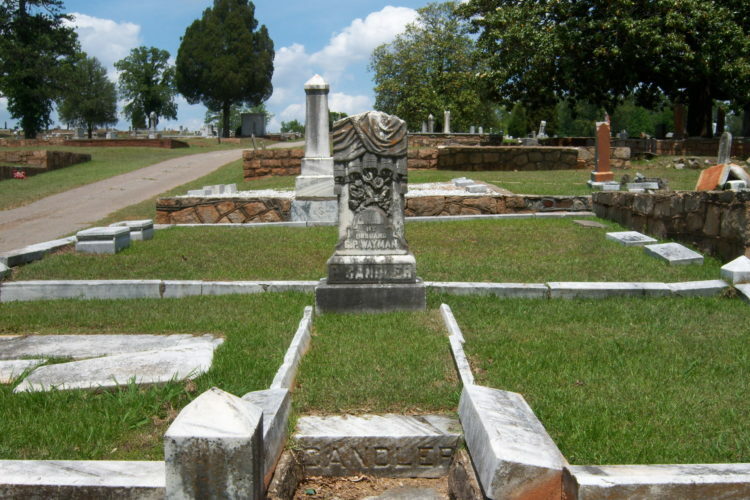 In February 1886, nine courageous Black businessmen including Jacob McKinley, George W. Graham, Robert Grant, Charles H. Morgan, John Render and Albert Watts petitioned the State of Georgia for a charter to establish a cemetery. 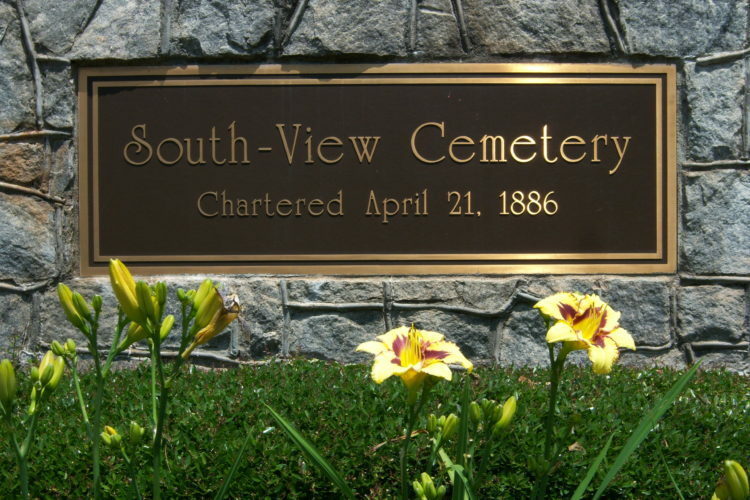 The charter was granted in April of the same year and the legacy of South-View Cemetery began. 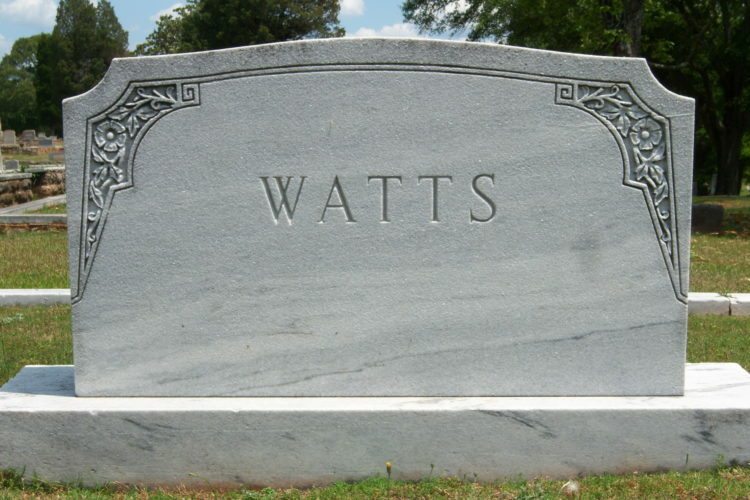 The grandson of co-founder Albert Watts, Albert H. Watts, began his sixty year career at South-View digging graves. It kept him conditioned for the Clark College football team. He worked in several capacities, becoming President-Treasurer in 1977 until his death in 2001. The current President, Winifred Hemphill, several stockholders, Board members and members of the staff are descendants of the founders. 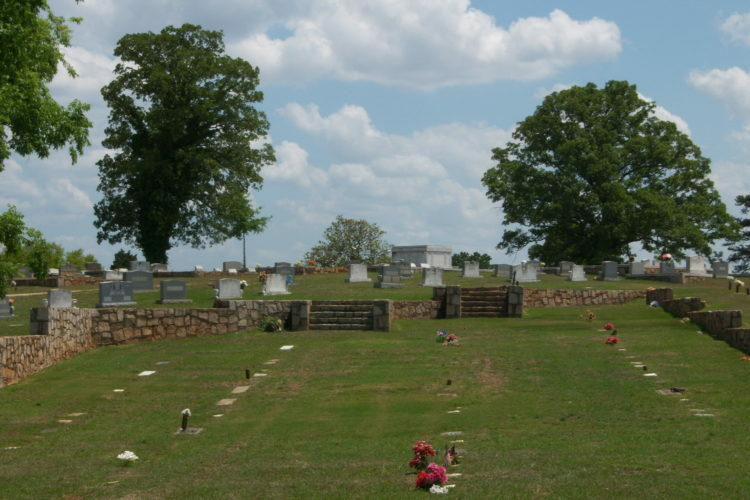 The oldest African-American “non eleemosynary” corporation in the country, South-View Cemetery is the final resting place for over 70,000 African Americans. 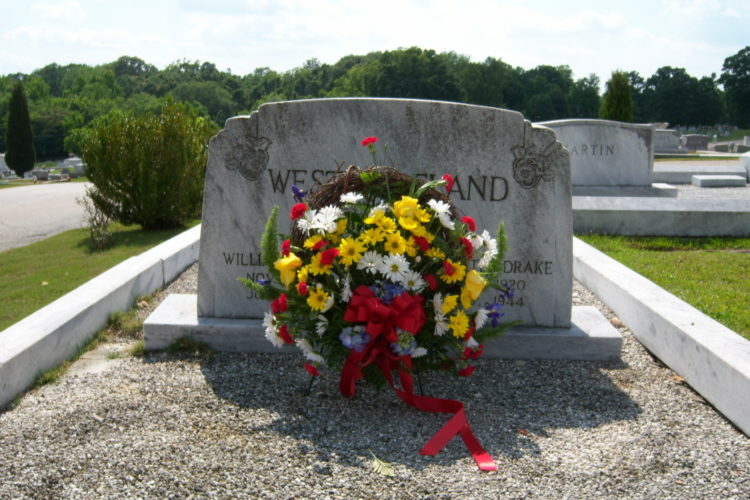 Many of whom have made significant contributions to American history and the struggle for freedom and peace. Among the many notables are men and women who were scholars, business owners, pastors, professors, military heroes, musicians, athletes, and civil rights activists. 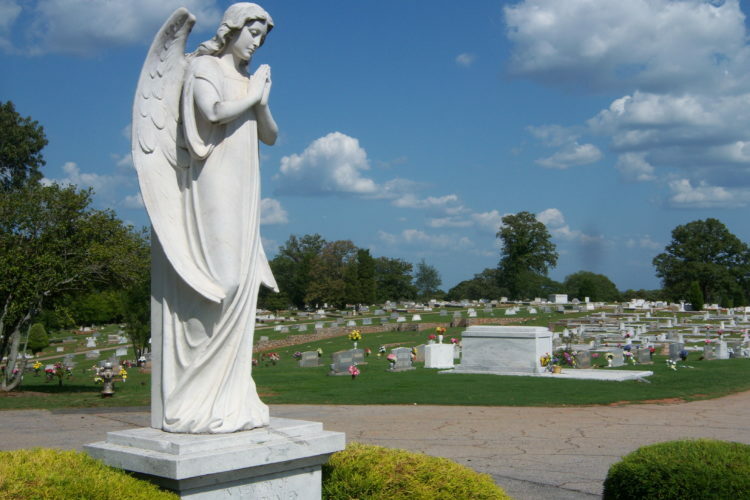 Two of the cemetery’s most famous residents are Dr. Martin Luther King, Jr. and Dr. Benjamin Mays. 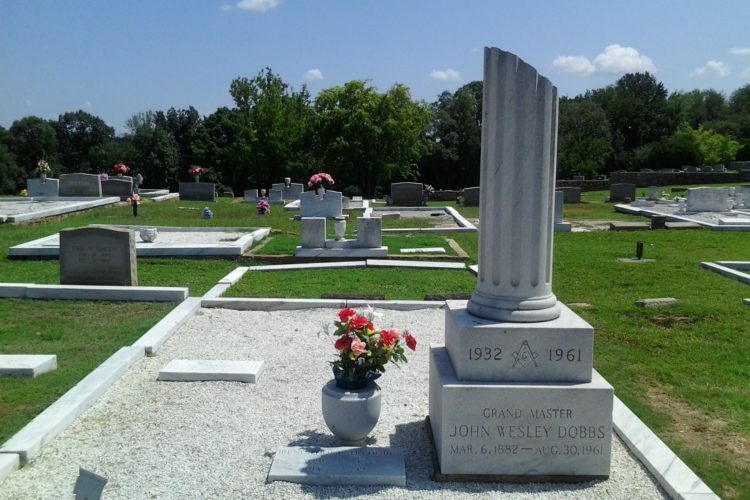 Both men were laid to rest at South-View before being moved to the Martin Luther King Center and Morehouse College respectively. Like King and Mays, Lt. Henry O. Flipper, the first African American to graduate from the West Point Military Academy and famed “Buffalo Soldier,” was laid to rest in 1940 at South-View until his full military honors were restored in 1978. 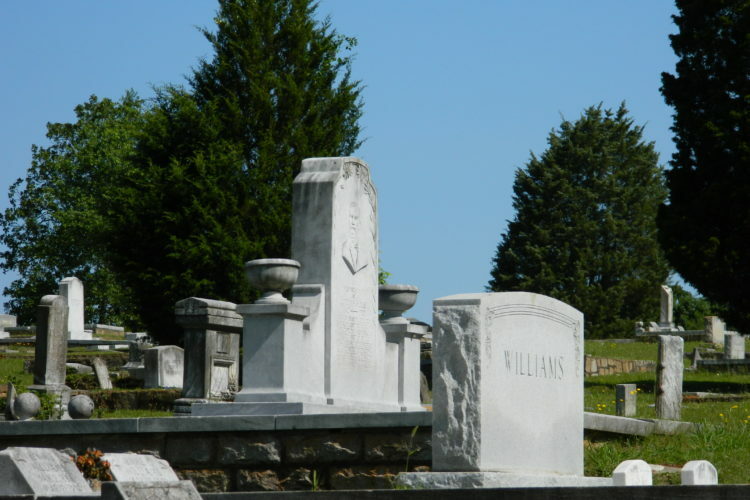 He was subsequently moved to the military cemetery near his home in Thomasville, Georgia.